Deploy your Gatsby.js site to AWS S3 and clear CloudFront cache with one simple command. First, let’s get our AWS components we need for this set up. 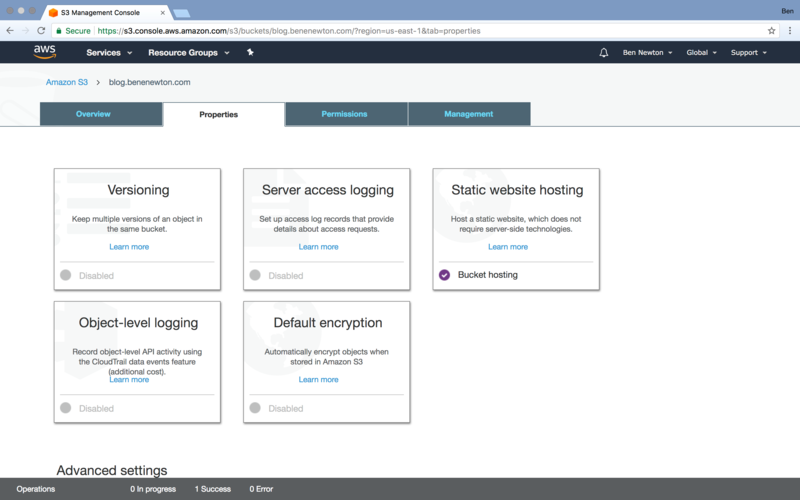 Set up a new S3 Bucket and make sure you mark the bucket for hosting a website in it’s properties. Add index.html as the default root object. 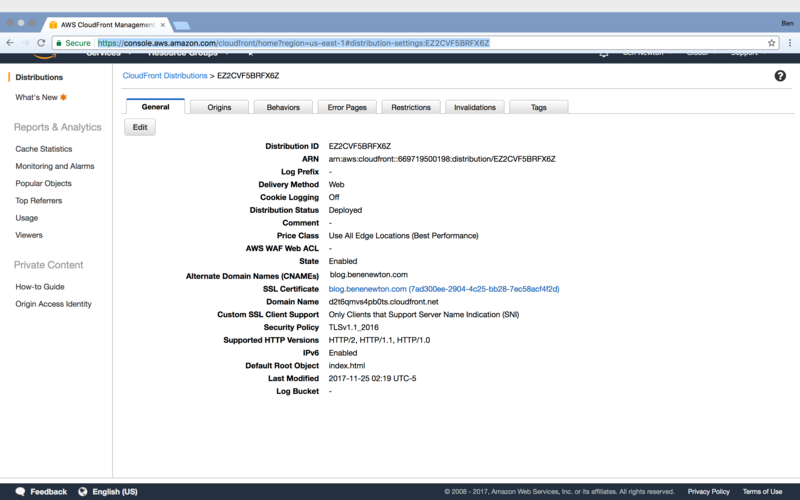 Important: Use the actual domain name of the S3 bucket so it resolves to index.html. 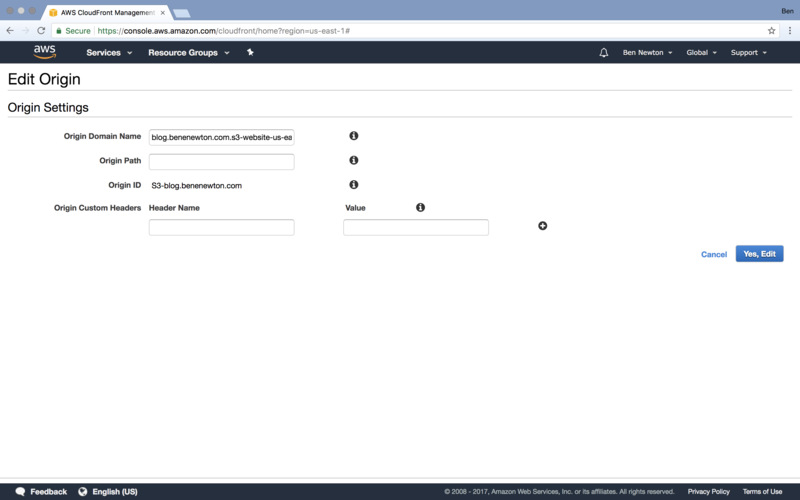 This will avoid errors when a visitor accesses one of your pages directly without loading the home page first. 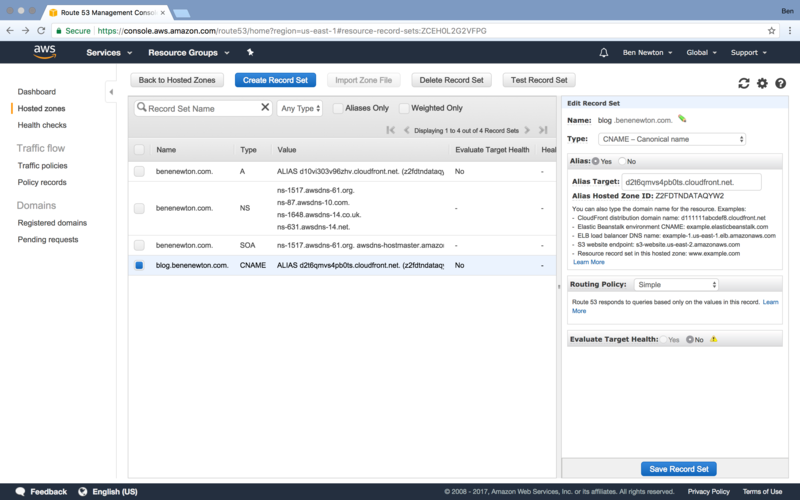 Set up a CNAME record to point point to the CloudFront domain name. In my case, I am using AWS Route 53. Now that our AWS components are ready, let’s go into our Gatsby.js project and make the additions we need to get this rolling. We’re going to add a couple of components to our webpack build. https://github.com/import-io/s3-deploy and aws-cloudfront-invalidate. Now, let’s add the commands we need so we can deploy from the command line. "clear": "aws-cloudfront-invalidate [your CloudFront Distribution ID]"
Run yarn run deploy and you should see your site build and deploy, then a cache clear sent to CloudFront. When that is complete, you should see your latest code live.